Coconut oil (Cocos nucifera L.) has been used for thousands of years in the tropics for its proven nutritional and cosmetic benefits. Polynesians used coconut oil cosmetically as an ointment to maintain their smooth and soft skin, in conjunction with other seed oils and flowers that provide a range of fragrances. South Indian women attribute their dense, long, black hair and flawless, clear complexions to good genes and the regular use of coconut oil in their diet and beauty practice. Containing monounsaturated fatty acids, which have been shown to have antioxidant properties with potential benefits against skin aging, coconut oils health benefits will be sure to beautify your skin. 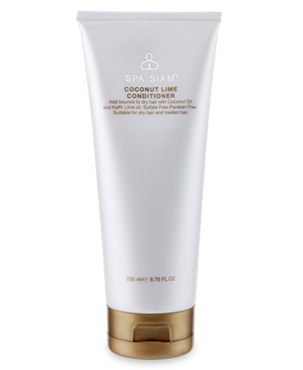 Coconut oil is one of the leading natural nutrition ingredients for hair, aiding in the healthy growth of hair and instilling a shiny complexion. 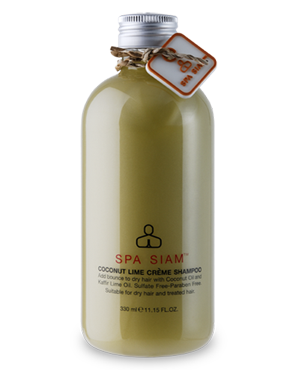 Regular massage of the head with coconut oil ensures that your scalp is free of dandruff, even if your scalp is dry. Coconut oil is extensively used in the Indian sub-continent for hair care being an excellent conditioner and helping in the re-growth of damaged hair. 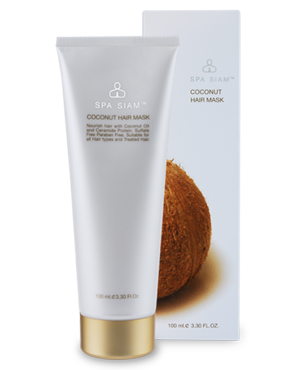 It also provides the essential proteins required for nourishing damaged hair. It is therefore used as hair care oil and used in manufacturing various conditioners, and dandruff relief creams. Research shows the strong impact that coconut oil application has on hair as compared to application of both sunflower and mineral oils. Among three oils, coconut oil was the only oil found to reduce the protein loss remarkably for hair when used as a pre-wash and post-wash grooming product. Both sunflower and mineral oils do not help at all in reducing the protein loss from hair. Coconut oil, being a triglyceride of lauric acid (principal fatty acid), has a high affinity for hair proteins and, because of its low molecular weight and straight linear chain, is able to penetrate inside the hair structure. Mineral oil, being a hydrocarbon, has no affinity for proteins and therefore is not able to penetrate and yield better results. Sunflower oil, although it is a triglyceride of linoleic acid, has a bulky structure due to the presence of double bonds, and does not penetrate the fiber, consequently resulting in no favorable impact on protein loss. Filipinos are well-known for their youthful appearance and soft, wrinkle-free skin, despite living in a sun-drenched country. Coconut oil is their main dietary oil, and the key ingredient in their skin care products; its ability to nourish and heal the skin being known for centuries. Despite the anti-saturated fat campaigns waged in the West that convinced many to switch to polyunsaturated oils, Filipinos and others never stopped using coconut oil for skincare knowing of its exceptional moisturizing and healing powers for generations. As a saturated fat consisting primarily of medium chain fatty acids, it is not easily oxidized and does not cause harmful free radical damage as polyunsaturated vegetable oils. Coconut oil is an excellent massage oil and effective moisturizer on all types of skins including dry skin. Its benefits are similar to those of mineral oil, though unlike mineral oil, there are no adverse side effects on the skin following its application. Coconut oil therefore is a trusted solution for preventing skin dryness and flaking. It also softens and restrains wrinkles, and limpness of skin associated with aging. The oil will also soften and moisturize your skin, as well as assist in removing the outer layer of dead skin cells making your skin smoother and more evenly textured with a healthy "shine". Coconut oil also helps in treating various skin problems including psoriasis, dermatitis and eczema and therefore forms the basic ingredient of various body care products used for skin maintenance such as soaps, lotions and creams.